I cannot believe we're almost done with January. Hasn't the month flown by? I feel like I'm still trying to catch up with post-holiday craziness to be honest. With the end of every month comes a giveaway though and this is the first official one for 2015! 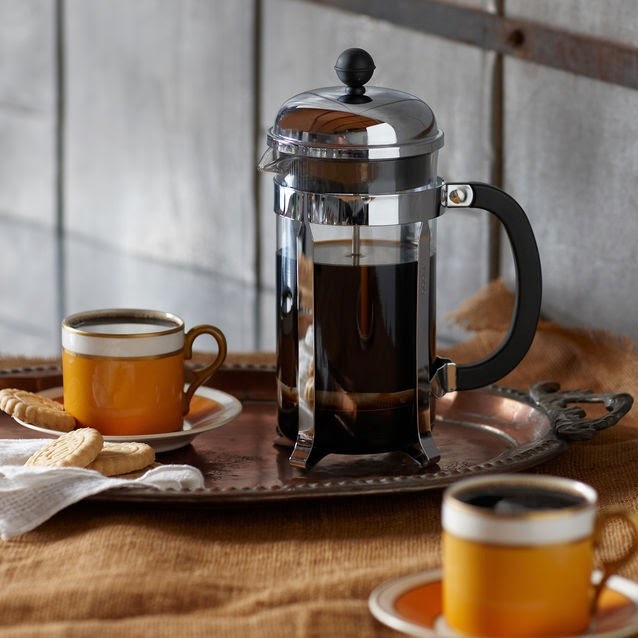 I decided to switch things up this time so instead of a gift card, me and a few blog friends will be giving away an 8-Cup Chambord Coffee Press by Bodum from Starbucks, a bag of ground coffee and a mug. We're bringing the coffee to you so you don't have to deal with the cold outside. I hear some of you are experiencing Snowmageddon. I definitely don't miss walking around in that. 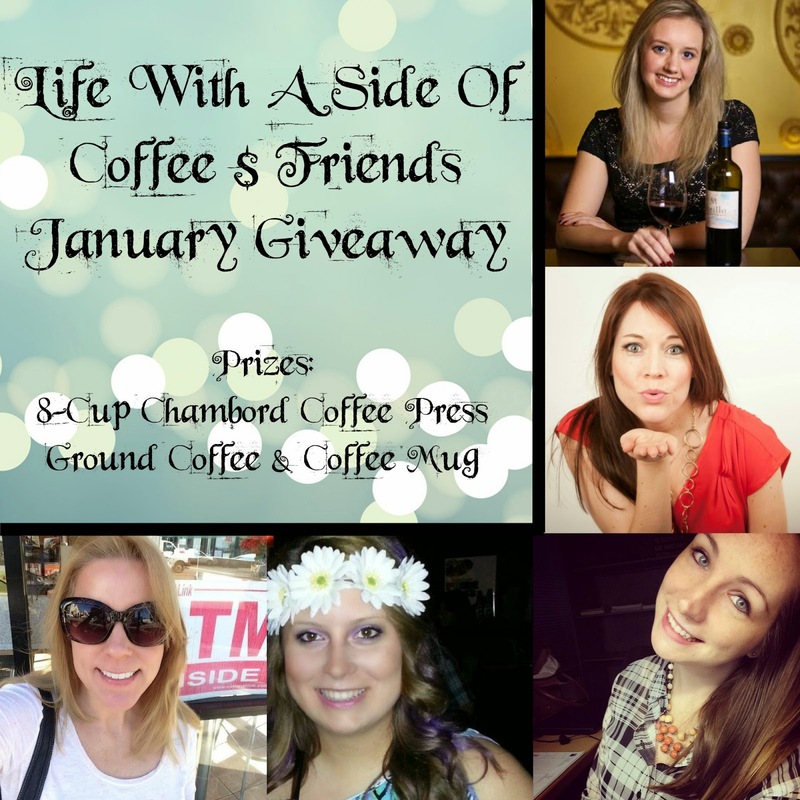 And now I'd like to introduce you to this month's giveaway participants! Share some love because the prizes in these giveaways wouldn't be possible without them. PLEASE TAKE MY READER SURVEY!! I want to hear from you guys so please take a second and fill out my reader survey. Visit the original post to enter the secret code from the confirmation page to win a $10 Starbucks gift card. If you're interested in sponsoring Life With A Side Of Coffee or enlisting any of its services such as social media promotion or shop reviews, visit my sponsor page! Use code 'SNOW' to get 35% off all ad space and services.